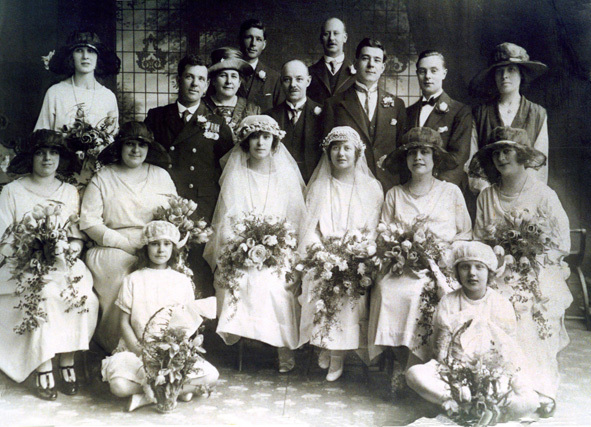 This delightful image of a Thundersley double wedding from the Derek Barber Collection is simply marked ‘Dare family double wedding’. It seems to be from the early 1930s and I was told that one of the sisters afterwards moved to Rayleigh. There was a policeman at Hadleigh once by the name of Dare. It’s obviously a large and fashionable family. Can anyone add any information on this, a date, names…?